• MistOlive ... a special tasty gift! 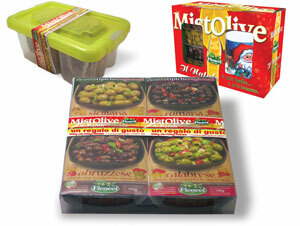 (8.8 oz) trays of the "OliveFresche"
selection offers a great value for its price. and can be used for various occasions.